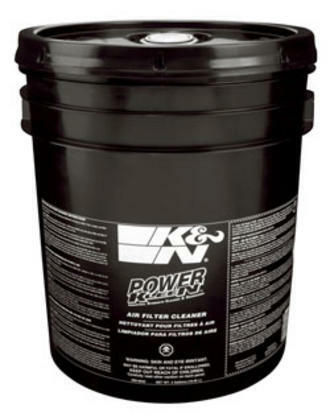 Product Description: K&N Air Filter Cleaner is the only cleaner formulated to clean K&N Filtercharger? air filters with cotton media. The use of any other cleaning solution can void the filter's warranty, and quite possibly could damage the cotton material. K&N Power Kleen Cleaner works to dissolve the dirt build up and old filter oil, and can be washed away with water. It so good at cleaning greasy dirt and grime that it is also used as an industrial strength degreaser. Complete instructions on bottle. NOTE: Do not use on polished or anodized aluminium.